May 26, 2015  Do the glasses make the man? Four years ago, then-Texas Gov. 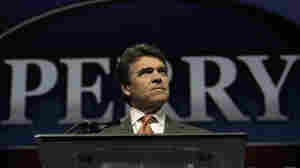 Rick Perry's presidential run was derailed by one word — oops. He admits now he wasn't healthy then, and he's trying to make up for it. May 17, 2015  Likely 2016 candidates gave short speeches at the Iowa Lincoln Day Dinner before wooing voters at their hospitality suites downstairs with homestate fare in a more relaxed environment. October 1, 2014  A nurse at Texas Health Presbyterian Hospital learned that the man had flown to the U.S. from Liberia, but that information was not communicated to doctors making the diagnosis, the official says. 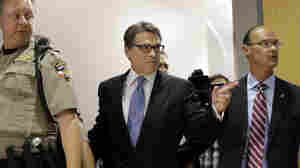 August 19, 2014  Following allegations of abuse of power, Rick Perry maintained that he had done nothing wrong. He told a crowd outside the courthouse he would "fight this injustice with every fiber of my being." August 15, 2014  An ethics complaint was opened last year after the governor vetoed funding for state public corruption prosecutors. 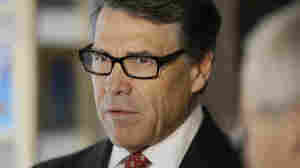 Perry had said he would carry out the veto unless a district attorney resigned. 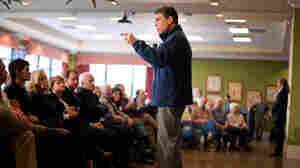 July 21, 2014  During an Iowa visit, Rick Perry said if the federal government did not act to curb the influx of immigrants along the southern U.S. border, he would take matters into his own hands. July 8, 2013  The Texas governor announced Monday that he would not seek a fourth term, but gave strong indications that he'd like another shot at the GOP presidential nomination. 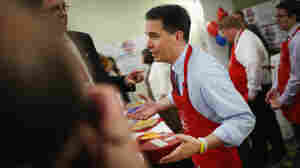 July 8, 2013  The announcement feeds speculation that he might again pursue the presidency as a Republican candidate. Perry said he would use the next 18 months to think about his next moves. 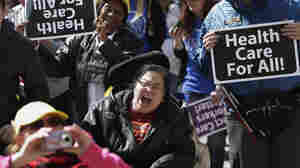 May 21, 2013  In Texas, it may be politically unwise to cross the governor, but some politicians and advocates in the poor Rio Grande Valley are starting to speak out in support of expanding Medicaid. Gov. 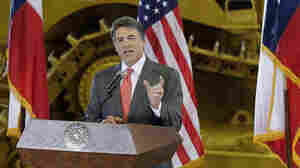 Rick Perry opposes all parts of Obamacare. April 25, 2013  Most of the 14 killed in the April 17 explosion were first responders trying to put out the fire and save lives. August 1, 2012  The governor's choice for U.S. Senate, David Dewhurst, was bulldozed by Tea Party favorite Ted Cruz. 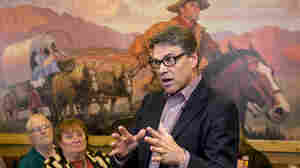 The reversal in Perry's fortunes should chasten all who try to predict political outcomes. March 21, 2012  They've posted thousands of queries about menstruation and other women's health issues as a protest of the Texas governor's positions. January 19, 2012  The Texas governor leaves a race he once led. He throws his support to the former House speaker. 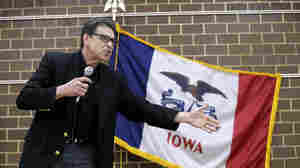 "There is no viable path forward for me," Perry told supporters this morning in South Carolina. 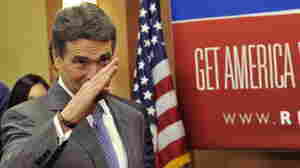 January 12, 2012  Texas Gov. Rick Perry announced his presidential campaign in South Carolina last August, but it may soon come to an end in the same state where it started. Ben Philpott of KUT News reports on Morning Edition that Perry hopes to make a stand in the Palmetto State.